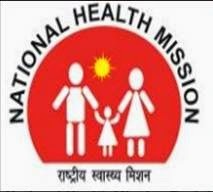 Under National Health Mission (NHM), the provision of health care to children particularly in rural areas is given priority attention. The details of the interventions to improve the health of children are as below. 1. Janani Shishu Suraksha Karyakaram (JSSK) entitles all pregnant women delivering in public health institutions to absolutely free and no expense delivery including Caesarean section. The initiative stipulates free drugs, diagnostics, diet, besides free transport from home to institution, between facilities in case of a referral and drop back home and free blood if required. Similar entitlements have been put in place for all sick infants accessing public health institutions for treatment till one year of age. 3. Home Based New Born Care (HBNC): Home based newborn care through ASHAs has been initiated to improve newborn practices at the community level and early detection and referral of sick newborn babies. 7. Management of Malnutrition: Nutritional Rehabilitation Centres (NRCs) have been established for management of severe acute malnutrition in children. 10. Mother and Child Tracking System (MCTS): A name based Mother and Child Tracking System has been put in place which is web based to ensure registration and tracking of all pregnant women and newborn babies so that provision of regular and complete services to them can be ensured. 11. Rashtriya Bal Swasthya Karyakram (RBSK) for health screening and early intervention services have been launched to provide comprehensive care to all the children in the age group of 0-18 years in the community. The purpose of these services is to improve the overall quality of life of children through early detection of birth defects, diseases, deficiencies, development delays including disability. 13. Capacity building of health care providers: Various trainings are being conducted under NHM to train doctors, nurses and ANMs for essential newborn care, early diagnosis and case management of common ailments of children. These trainings are on Navjaat Shishu, Suraksha Karyakram (NSSK), Integrated Management of Neonatal and Childhood Illnesses (IMNCI), Facility Based Newborn Care (FBNC), Infant and Young Child Feeding practices (IYCF), etc. 15. To sharpen the focus on vulnerable and marginalized populations in underserved areas, 184 High Priority Districts have been identified across the country for implementation of Reproductive Maternal Newborn Child Health+ Adolescent (RMNCH+A) interventions for achieving improved maternal and child health outcomes. Note:- Allocation is as per Original outlay/B.E and does not include Kind Grants. Female sterilization is one of the most accepted methods of contraception in India. Government offers a basket of choice to the clients who adopt a method as per their choice. It is a safe procedure which leads to full recovery post the surgery. Public health infrastructure is adequate to provide sterilization services. Moreover no sterilization procedure is carried out without the written informed consent of the client. The Government of India does not offer incentives but provides compensation to the clients for the loss of wages experienced for undergoing the procedure. The estimated proportion of Multi Drug Resistant TB (MDR TB) cases in India is not increasing. It is less than 3 percent among new TB cases and between 11 to 19 percent among retreatment TB cases and has not increased in the recent years. Programmatic Management of Drug Resistant TB (PMDT) services are provided under the Revised National TB Control Programme (RNTCP) throughout the country. Under RNTCP, diagnosis of Drug Resistant TB is conducted through quality assured drug susceptibility testing at 62 Culture & drug susceptibility testing (C-DST) laboratories, of which 50 laboratories are also equipped with rapid molecular test named Line Probe Assay (LPA). Cartridge Based Nucleic Acid Amplification (CBNAAT) Test Machines have been installed at 119 sites for early detection of Rifampicin resistance among TB cases. The main reason for MDR-TB is incomplete and/or incorrect treatment for drug-sensitive TB. Hence, under RNTCP, complete and correct treatment under DOTS strategy is implemented. Diagnosis and treatment for both drug sensitive and drug resistant TB, under RNTCP, is free of cost. Prevalence of Tuberculosis in India has come down from 586 per 100,000 population in 1990 to 211 per 100,000 population in 2013. Mortality has reduced from 42 per 100,000 population to 19 per 100,000 population during this period. The estimated incidence of TB has also been declining. The Government of India launched a National Programme for Prevention and Control of Cancer, Diabetes, Cardio-vascular Diseases and Stroke (NPCDCS) in July, 2010 in 100 Districts in 21 states. From 2013-14, the programme has been brought under the umbrella of National Health Mission (NHM) and expanded to cover more districts in all states and UTs. During the 12th Plan, the activities under the programme include strengthening of health infrastructure by setting up of NCD clinics, providing necessary manpower for programme activities, health promotion activities, screening, early diagnosis, treatment and referral of patients suffering from these diseases through public health delivery system. The following infrastructure is created under the programme. i. Districts, NCD clinics established in 152 districts. ii. Districts NCD cell established in 147 districts. iii. Cardiac care units set up in 65 districts. Under NPCDCS programme, one time support for providing necessary equipments for laboratories at the rate of Rs.8 lakh/ NCD clinic in Community Health Centres (CHC) and Rs.10 lakh/ NCD clinic in districts hospital is provided. Necessary manpower in these clinics is also supported under the programme by providing annual recurrent grant of Rs.21.50 lakh in districts NCD clinics and Rs.13.68 lakh in CHC NCD clinics. While health is a state subject, the Central Govt. supplements the efforts of the State Governments to provide health care including tertiary level health care for NCDs. Under Tertiary Care Cancer Centre (TCCC) Scheme, Government of India is assisting States to set up / establish State Cancer Institute (SCI) and TCCC in different parts of the country. The Central Government, through its hospitals including All India Institute of Medical Sciences, (AIIMS), Dr. Ram Manohar Lohia Hospital, Delhi, Safdarjung Hospital, Delhi, Lady Hardinge Medical College and Associated Hospitals, Delhi, Jawaharlal Institute of Post Graduate Medical Education & Research (JIPMER), Pudducherry, Post Graduate Institute Medical Education & Research (PGIMER), Chandigarh, North Eastern Indira Gandhi Regional Institute of Health & Medical Sciences (NEIGRIHMS), Shillong, Regional Institute of Medical Sciences (RIMS), Imphal, 6 AIIMS like Institutes at Patna, Bhubaneswar, Rishikesh, Bhopal, Raipur and Jodhpur, augments the efforts of the State Governments for providing health services in the country. It is a fact that India’s two key neighbouring countries, Afghanistan and Pakistan, have high polio burden and as such it runs a high risk of importing the virus. As per WHO data, these are the only two countries worldwide that have persistent transmission due to wild polio virus in year 2013-2014 and remain endemic. India has extended a helping hand to them in an attempt to form a united front to eradicate the disease. Both the countries have shown their positive response in the matter and as such have agreed to send their teams to visit India and adopt its model for eradicating polio. Polio has been successfully eradicated from most of the SAARC nations including India. However, polio remains endemic in Afghanistan and Pakistan. Until poliovirus transmission is interrupted in these countries, all countries remain at risk of importation of polio, especially India which shares border with Pakistan and has lots of Afghanistan nationals visiting India on frequent basis. The Polio Programme of India now serves as a model health programme globally. India has already indicated its willingness through Ministry of External Affairs (MEA) to host technical missions from Pakistan and Afghanistan during National/Sub-National Immunization Days. Since the health care workers interface with patients suffering from various infectious diseases, exposure to infectious diseases cannot be ruled out. The State wise details of personnel in health care getting exposed to infection and diseases like Hepatitis are not collected centrally. Universal precaution for health care workers is a knowledge and skill taught in the Medical Colleges and Para-medical institutes. The Government of India has also published the Indian Public Health Standards (IPHS) which the State Health Care Facilities are encouraged to follow. • Provision of Protective gears like gloves, masks, gowns, caps, personal protective equipment, lead aprons, dosimeters etc. and their use by Health Care workers as per standard protocols. • Promotion of Hand Hygiene and practice of Universal precautions by Health care workers. • Display Standard operating procedures at strategic locations in the hospitals. • Implementation of Infection control practices and Safe Bio Medical Waste Management. • Regular Training of health care workers in Universal precautions, Patient safety, infection control and Bio Medical Waste Management. • Immunization of health care workers against Tetanus and Hepatitis B. • Provision of round the clock Post exposure prophylaxis against Human Immunodeficiency Virus (HIV) in cases of needle sticks injuries.